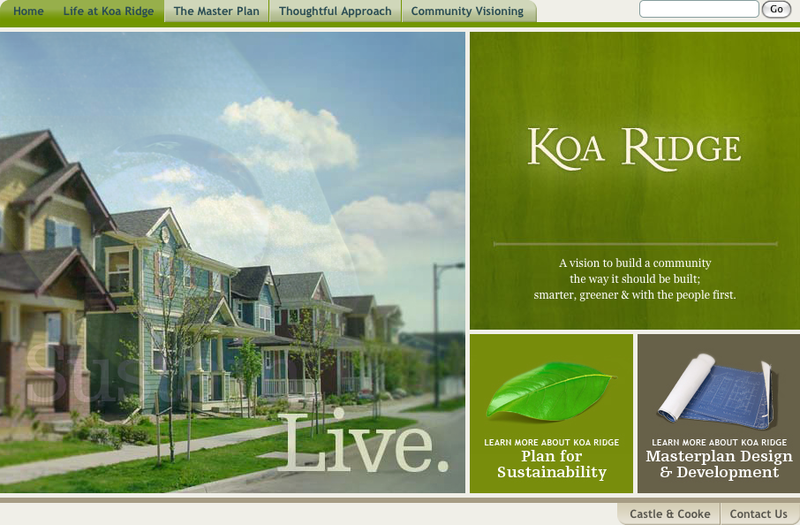 Koa Ridge: Oahu’s Next Great Place to Live! For years now, we’ve heard about Castle & Cooke’s KOA RIDGE – that elusive and fabled development that is set to usher in a new era of homes in Central Oahu. Only one space needed after a period, a computer is not like a typewriterI swear, 90% of my friends all seemingly want to live there, and it’s not hard to figure out why. This will mark one of my generation’s premier opportunities to see an entirely new neighborhood come to life before our eyes. For all of you who want something new, without having to travel farther out to the bustling cities of Kapolei and Ewa Beach, Koa Ridge offers a great, seemingly more convenient alternative. I for one am beyond thrilled to see this happen!For those of you that don’t know, here are the basics of the Koa Ridge Development:- 3,500 to 5,000 square foot homes will be built over the next several years. 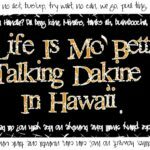 – The first batch of new homes will hit the sales market by late 2011.This marks the first real batch of new homes in Central Oahu since Mililani Mauka wrapped up sales around 2008. The project, which is split into two neighborhoods – Koa Ridge Makai (located above the Waipio Costco and Tony Autoplex) will be the first to hit, with Castle & Cooke Waiawa (located across the H-2 adjacent to Mililani Mortuary and Waiawa Correctional Facility) coming a few years later. mmm…yikes, talk about having to get creative on that advertising pitch! Also being added through the years will be schools, shopping, a hospital, parks, and much, much more.Keep on checking beyondhonolulu.com for our continuous updates on Koa Ridge! I for one will be keeping a close eye on this development!